Resting Place meets three nights a week aside from special events. We are currently located in the Lackawanna Business Park in Woodland Park, NJ. Parking is available throughout the building complex. We are on the left side of the business park across from Camal Judo and Jujitsu. 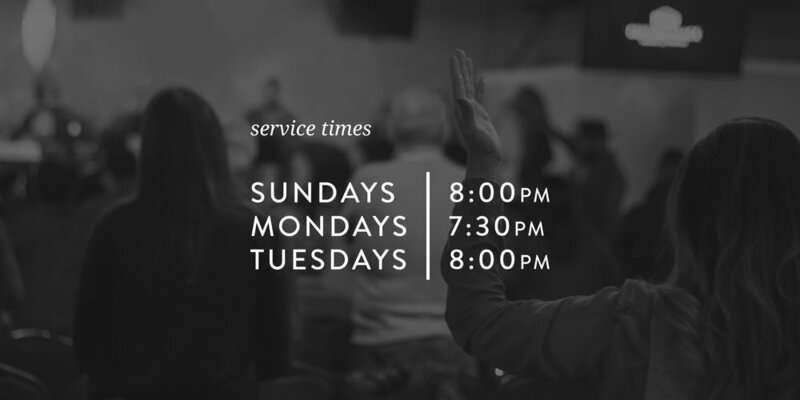 Every Monday at 7:30pm we have an Encounter God Service (EGS) where the region gathers around the presence of God. In addition, we are building a 24/7 worship and prayer facility which will be organized by twelve 2-hour sets every day. We currently have sets on Sunday evenings and Tuesday evenings as well as our Monday night EGS. Our School of Ministry (RPSOM) is designed to bring practical ministry training, identity, theological understanding, and leadership training to all who attend. We believe that you cannot simply gain an understanding of the Kingdom, but you must also experience it. As Paul said, “and my message and preaching were not in persuasive words of wisdom, but in demonstration of the Spirit and of power. (1 Corinthians 2:4)"
Prophetic Ministry is available by appointment only. The ministry begins with a time of silent soaking and then several trained prophecy team members will come to minister and encourage you. We encourage you to bring a recording device to capture your words. The entire experience takes approximately 30 – 40 minutes, and it ends with a short survey for you to fill out.